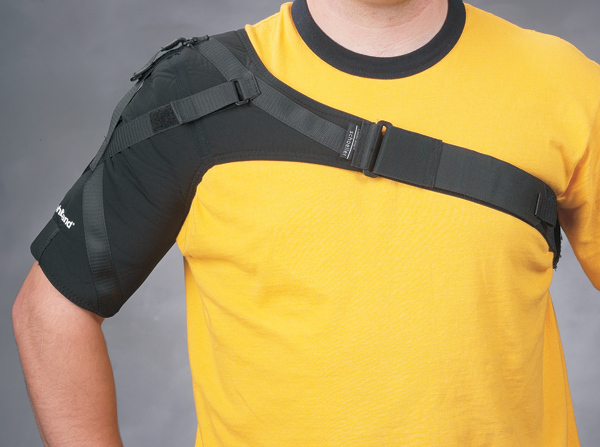 Dynamic orthosis allows protected shoulder motion. The Acro™ Shoulder Support is made of soft, padded 1/8" (.3cm) thick, minimal stretch, neoprene like material, which helps balance temperature extremes. 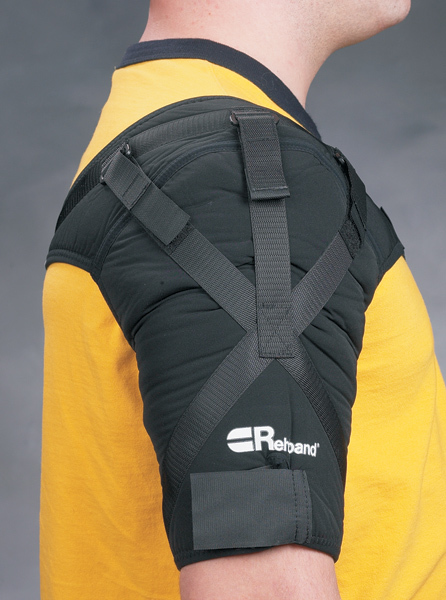 Provides support for painful, weak, unstable or hypermobile shoulders. Ideal for orthopedic and neurological conditions. Can be worn under clothing. Adjust the three non-stretch straps to restrict shoulder motions such as retraction of the scapula, while limiting rotation and abduction for subluxation conditions. Straps require minimal tightening so the risk of circulatory problems is decreased. Chest strap is padded under the axilla for added comfort. Sleeve opening with "grip" liner allows better humeral fit and less migration. 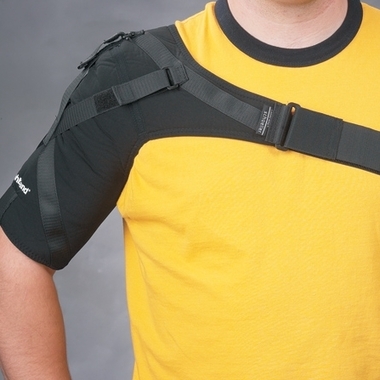 Provides added upper arm compression and more shoulder support due to the crisscross straps over the shoulder joint. Hand or machine-wash and air dry. Fits either the left or right arm. 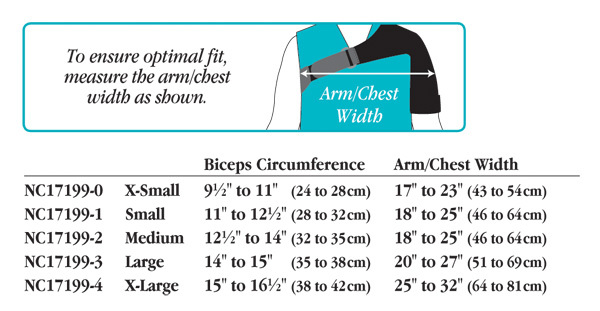 To size, measure bicep circumference.